Tilting at Windmills Since 1980: On Ian McKellen and Acting. On Ian McKellen and Acting. In an age of meaningless Kim Kardashian celebrity and Charlie Sheen media antics; in a Hollywood littered with the inexplicable behavior (intentional or other otherwise) of the Shia LaBeoufs, Mel Gibsons, and Amanda Bynes of the world; in a era fraught with fractious politics and insane ideologies; indeed, in a world of continuing violence and endless bigotry, it is nice to occasionally find refuge in...something. Something sane. Something hopeful. Something inspiring. For me that refuge has always been the arts. Primarily the performing ones. Mostly with actors. I love being with actors. Working with them. Talking to them. Hearing them discuss their craft. War stories and backstage dalliances. Flubs and faux pas. Victories and conquests. Shakespeare, Shaw, Henley, Mamet, Simon, Wasserstein. I get energized by the way actors analyze characters and peel back the emotional layers of humanity. I wonder with them as they dissect the world. I like the jokes many of them make at their own expense and the honesty with which most of them approach their very lives. Recently, I was fortunate enough (along with a small crowd of others at a very exclusive little event) to find such refuge in the company of one of the world's finest (dare I say greatest) actors, Sir Ian McKellen. He is at once serious yet very approachable. He is funny and thoughtful. He is wise and witty and knowledgeable and well-read and deep of thought and emotion. To wit, he is an actor's actor. I would say the very definition. I was first exposed to Ian McKellen when he was 44 year old. He was touring his one man show, "Acting Shakespeare." 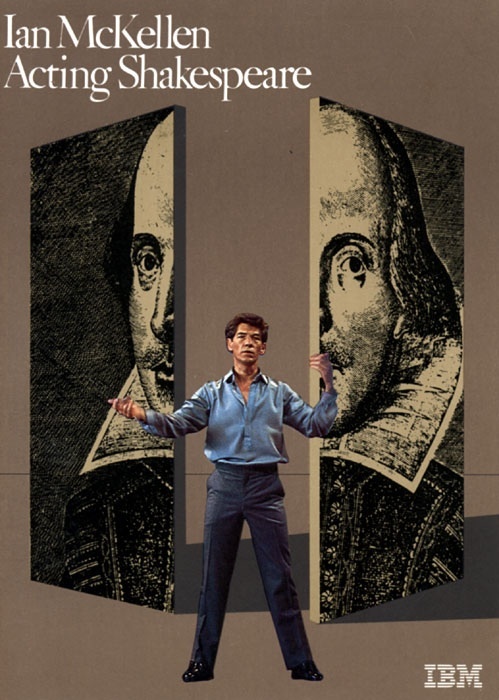 A couple actor friends and I pooled our bartender and waiter tips and cobbled together the cash to sit in the Westwood Playhouse (now the Geffen Playhouse) and watch a relatively unknown British actor (at least to Americans) perform scenes and monologues from Shakespeare. 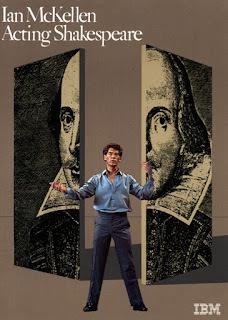 Dressed in a light blue, long sleeved shirt and what I remember to be grey trousers, he began, "All the world's a stage, And all the men and women merely players." I was 25 and fresh out of the American Academy of Dramatic Arts. I had entered drama school after college in hopes of becoming a movie star or, at the very least, a regular on a TV show. That night, McKellen, alone on stage with no props or costumes, made me want to become an actor instead. Within about an hour and a half I had seen what an actor really is. What an actor really does. What an actor is capable of doing to an audience. I was changed. There is an interesting thing that happens when you are in the company of real actors. "Real actors" as opposed to "movie stars." I make this distinction with all due respect to movie stars. They work hard in a difficult profession. I love Tom Hanks. He is a very good actor as far as movie stars go. I've never been disappointed with a Tom Hanks movie. But Hanks (and Clooney and others in the rarefied air of movie-stardom) will never play the massive variety of roles afforded to actors like Sir Ian. Sir Ian. Sir John. Sir Alec. Sir Ralph. In listening to Sir Ian talk quite candidly about his actor life was personally reassuring and artistically comforting. There are no rules, he can give no advice, he has no process, hard work is important once you have the job, and luck ultimately gets you the job. Even for the most successful actors in the world, it is a hard career that must be tempered and nurtured daily. No, it is not fair. Yes, you are probably better than the people you see on TV and in the movies. Stick to your guns, remain committed, be fearless, work hard, study other actors, live in the world. Have a career not just a job. Love what you do. Be an Ian, not a Kim.